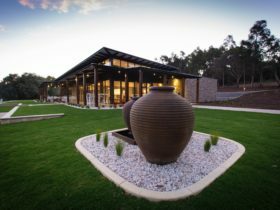 Bettenay’s Lakeside Chalets and Luxury Spa Apartment are centrally located to wineries, restaurants and close to the scenic and famous surf coastline. 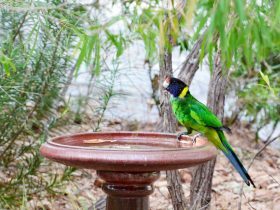 There is 140 acres of farm and bushland to explore. On site activities include wine tasting, tennis court and fishing from the edge of their trout filled lake. 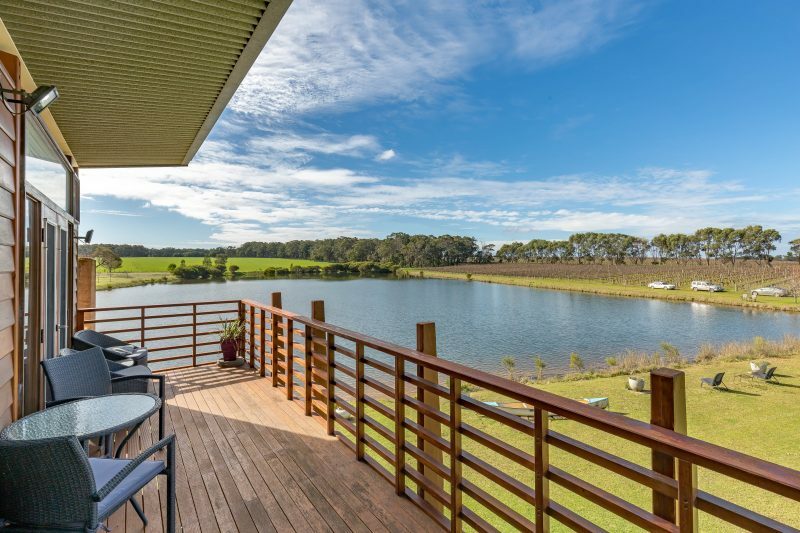 Envisage yourself relaxing on the veranda in this serene location taking in the views, sipping on a glass of Bettenay’s wine. 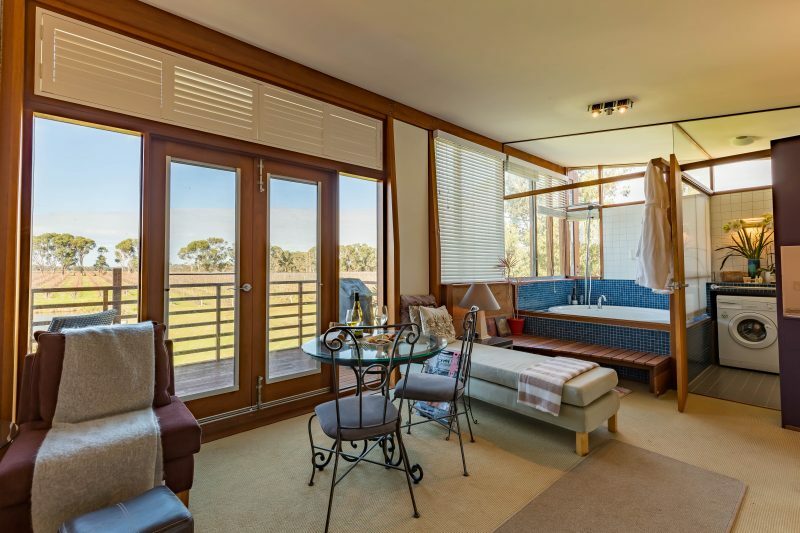 Luxury Spa Apartment in the heart of the Margaret River wine growing region. 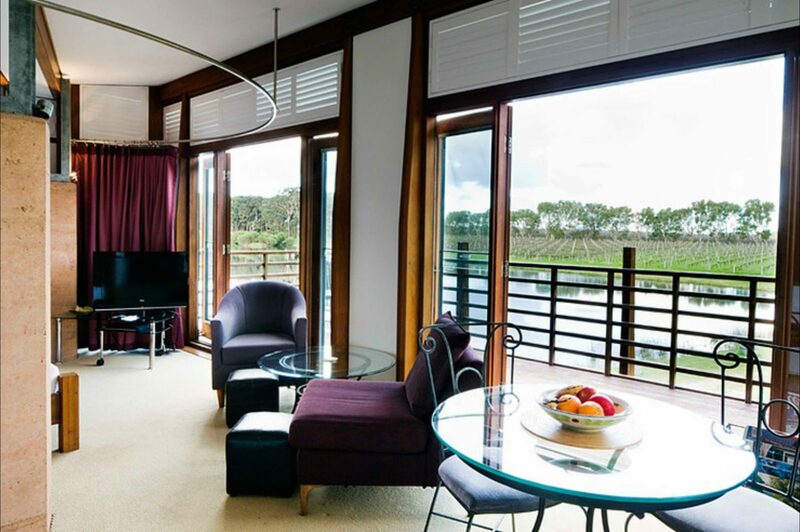 Double-doors open out onto your private balcony to take in the breathtaking views of the lake and vineyard. 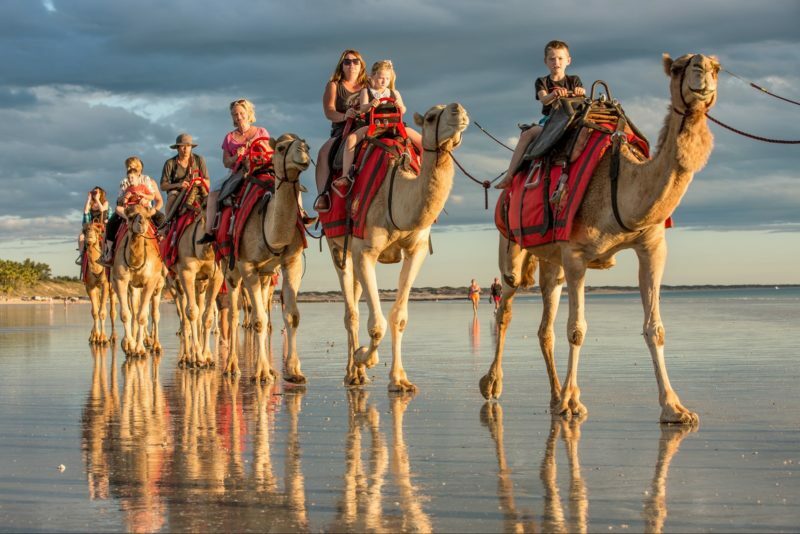 With reverse cycle air-conditioning, stay in comfort and style through the seasons. 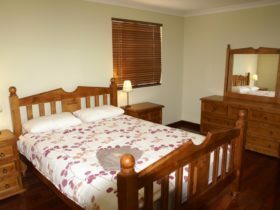 Contains a romantic spa overlooking the Bettenay Estate, king-size bed with panoramic views, liquid-crystal-display television, CD/DVD system, cooking facilities and stylish decor. Aromatic essential oils complete the romantic experience. 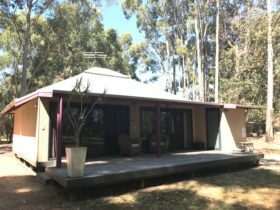 Bettenay’s Lakeside Accommodation nestled privately amongst native trees and fragrant gardens, creating a country ambience. The chalets have a romantic charm whilst offering all the comforts and conveniences of home. Bettenay’s chalets are fully self-contained. The luxury spa apartment offers a romantic tree-top getaway. The apartment offers all modern amenities including spa with scenic views and complete privacy morning and night with luxury linen and robes and gourmet breakfast ingredients provided. 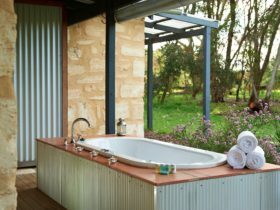 A truly indulgent getaway in the heart of Margaret River’s beautiful wine region. Prepare to be taken in by this treat of treats. Your double glass door opens up to a private balcony overlooking the lake and vineyard, offering picture perfect views, to be matched only by the total comfort of the apartment. Full climate-control ensures you experience perfect conditions all year round, whilst the spacious spa is guaranteed to heat things up. Enjoy! These unique chalets compliment the surrounding picturesque scenery, overlooking a lake, vineyard and olive grove. Experience a serene country cottage feel, without sacrificing home comforts. Nestled amongst native trees and fragrant gardens, the cottages are climate-controlled with the option of an ambient wood fire. Whether you are a couple or with friends or with family, the chalets cater for all. After exploring the region, cook up some fresh local produce on the barbecue and enjoy an evening on the veranda with a glass of Bettenay’s wine (of course!). Both chalets are separated by mature trees which add to the atmosphere and privacy. Relax, unwind and enjoy. See you soon!